WHAT IS THE ARCHIVE? HOW DOES THE ARCHIVE WORK? WHAT CAN I DO WITH THE ARCHIVE? 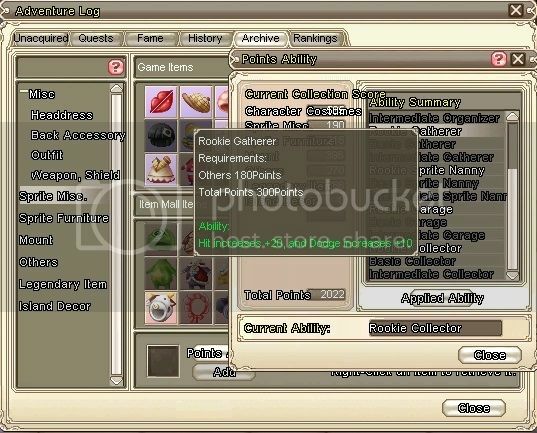 The Archive is a System In-Game that you can store all your Costumes, Sprite Misc and Furniture, Mounts, Others (Disguise Masks, etc) and Legendary Items (Legacy Armours and Yellow Items), You can also use the Archive to transfer Bound Costumes / Legendary Items (Non-Trade-able) from Character to Character on the same Account and Server. 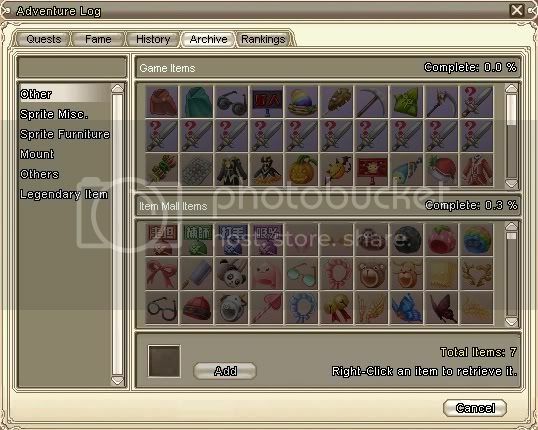 First Step: Press L while in game, this will being up your Quest Log. Second Step: At the top, you will notice a few different tabs. The fourth tab across is one labelled Archive, you want to click that tab. 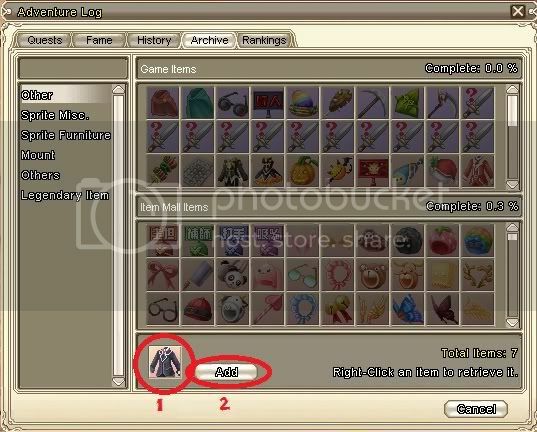 From here, you'll need to right click on your costume in your backpack to pick it up and drag it over to the Archive and place it in the small Square Box next to the Add Button. 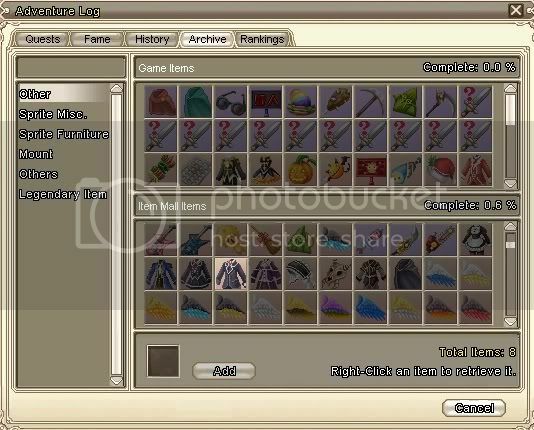 Once you've placed your costume in the box, simply press Add which will then add your Costume to your Archive. You can then scroll through each part and find your costume, if you want to take your costume out, all you have to do is left click it and it will be sent to your backpack or just right click it to pick it up and drag it over to your backpack. Long and short, its a reward for collecting archivable items, such as costumes, mounts, yellow equipment and so on. Each item is worth a number of points, and these points total up to give special abilities. 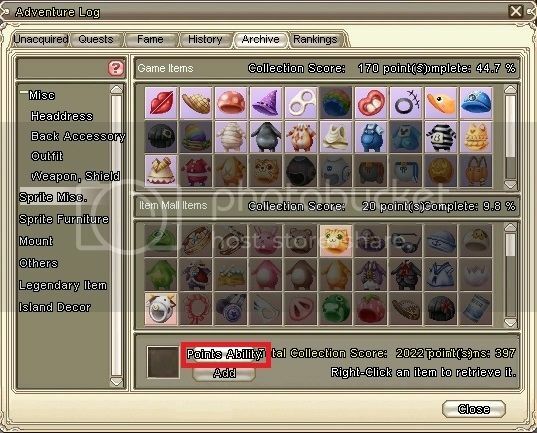 When you look at your archive now you'll see each item within it has a "collection point" number listed in it. 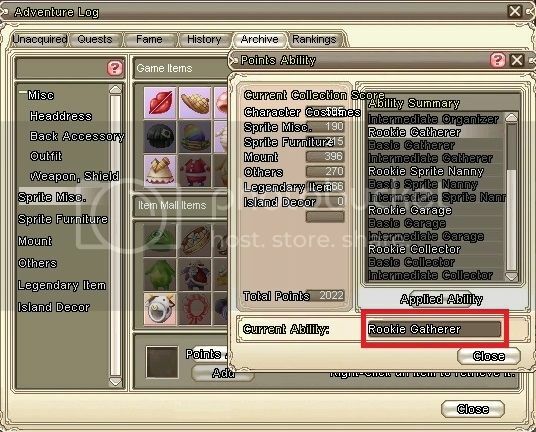 This means that if you place these items within the archive, you will gain that many points for as long as you keep the item within the archive. 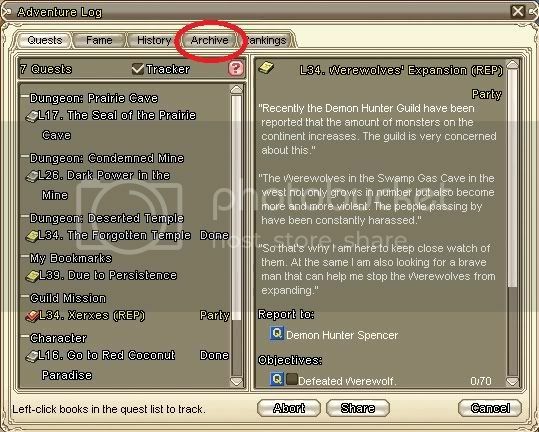 It should be noted that removing an item from the archive will remove its points from it. These scores are necessary to unlock special abilities from this system. 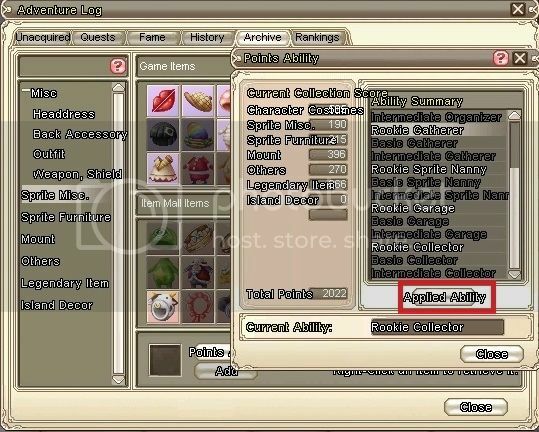 and if you see the ability appear here, then you know that its active.